LONDON: A former glamour model has revealed how she was groomed by ISIS recruiters to become the next White Widow Sally Jones. Kimberley Miners, 29, said British born Islamic State militant Naweed Hussain contacted her on Facebook after she began sharing videos showing the plight of children affected by the Syrian war. He contacted the former page three model every day and shared propaganda including dozens of images and videos and even a bomb making manual, she told The Sun. 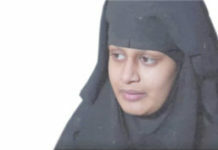 She told newspaper she was being groomed to become “the next Sally Jones” – a notorious female Isis recruit from Kent who moved to Syria with her son JoJo and was killed in an airstrike in October last year. Ms Miners, who previously worked as a rubbish collector, said: “I was totally taken in. I was groomed and I fell for it. “I was a propaganda trophy to be won, the next Sally Jones. And they wanted me at all costs. 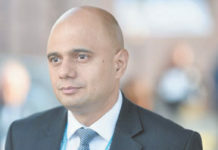 I dread to think what would have happened.” Ms Miners, who says she started using social media after suffering a miscarriage and splitting up with her fiancé, was arrested after anti-terror police intercepted messages from Hussain encouraging her to visit Syria. Hussain convinced Ms Miners to change her name to Aisha Lauren al-Britaniya and she struck up friendships with women already living in Syria. Jones and 15-year-oldAmira Abase who travelled to Syria from London with two school friends were among Ms Miners Facebook friends, according to the Sun. Hussain had also been grooming a number of other British women including 18-yearold Safaa Boular who last week became the youngest woman to be convicted of planning a UK terror attack as part of an all-female terror cell. Ms Miners was arrested in October 2016 after dropping out of a course aimed at stopping her online behaviour. Despite facing 10 years in prison, she was released with no further action in March 2017 after 17 months on bail, North East Counter Terrorism Police confirmed. Hussain was killed in a drone strike just weeks later.